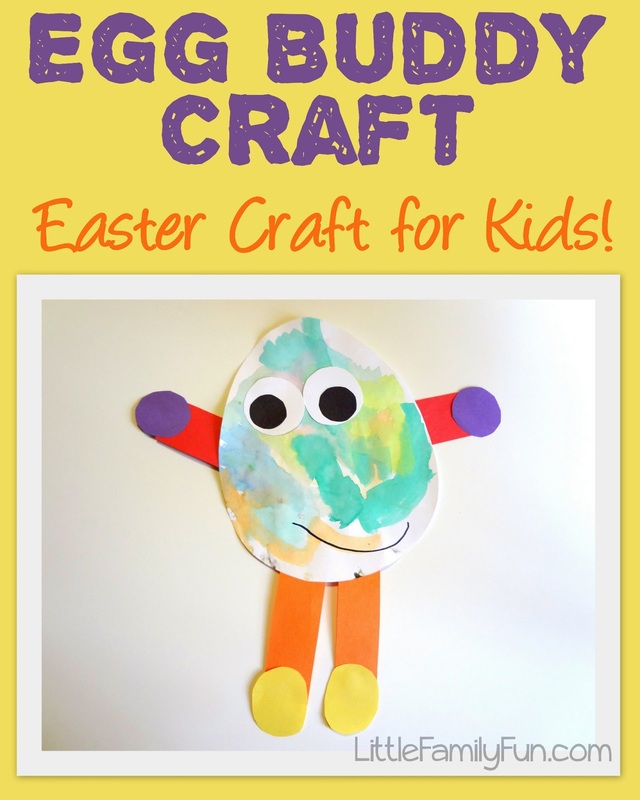 LB(3) had a lot of fun creating this little Egg Buddy craft to go along with our Easter Egg theme. He loves to paint, so that was the best part of all! Cut out an egg shape from a white piece of paper or cardstock. Get out some watercolors and let your child paint it however they desire. Then let it dry. Cut out 2 big white circles and 2 smaller black circles for the eyes. Then have your child glue them on. Let your child choose out of construction paper what color they want the Egg Buddy's arms, legs, hands & feet to be. Then cut them out and let your child glue them on.